Do you score perfect bound book covers offline? Do you simply need a better crease on your cover feeder? Do customers complain about your book covers? 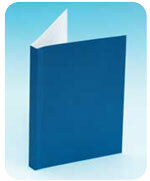 Now you can produce up to 4 simultaneous letterpress quality creases on your perfect binder's cover feeder. Get the control over your cover feeder you need to produce the results your customers want using the Spine and Hinge Creaser. 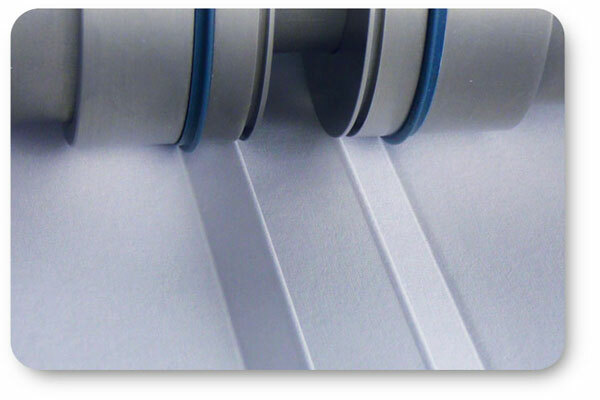 If the scoring device on your cover feeder falls short, or you find yourself doing a separate scoring operation to handle covers, upgrade your perfect binding machine with the same patented Technifold technology made popular for folding and scoring machines. 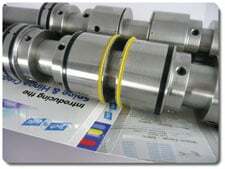 The Spine and Hinge Creaser components slide right on the cover feeder shafts and require no machine modification. Most devices have 2 or more creasing ribs to handle a wide range of cover stocks. Our most popular Spine and Hinge Creaser for Muller systems has up to 6 creasing rib styles available and an infinitely variable female channel width adjustment for the ultimate in scoring flexibility. Would You Like to Learn More About the Spine and Hinge Creaser? Be Sure to Check Out the Bindery Success Blog!